To be honest, Itacho Sushi had never been the place I like to go to for sushi fix. But that particular day, I was craving badly for sushi and this is the nearest outlet. I was reluctant due to the previous two visits over the years. Both visits I was left with an unsatisfied stomach and a hole in the wallet. Visited the sushi + udon outlet at JCube. A typical promotion poster at all outlets. The sushi can be as inexpensive as $0.40. But limited to two per person dining. I ‘warned’ Mr Boyfriend about the two visits I had previously, and so we decided to try some udon to ensure a full stomach. And lucky for us, there’s a promo for small bowl of udon and some rice bowls. The promo is on from Monday – Thursday 2:30pm to 9:30pm and Friday – Sunday + Public Holiday 11am to 5pm. Waiting for food to be serve. The wait can be quite awhile. Ordered two extreme flavors of udon – spicy and non-spicy. Tom Yam Udon (small) $6.80. I had never been a tom yam lover, but I fell totally in love with this! Both Mr Boyfriend and me heart this. The level of spiciness is superb and you can taste that sourness and sweetness from the tomato. I couldn’t stop drinking the soup though I find it a bit overly spicy. And though it’s a small serving (half the normal serving), there’s quite a reasonable amount of ingredients, clams, prawn. And being an anti-udon person, we pretty much love the udon here. Not only had it absorb the taste of the tom yam, it is chewy (QQ). Really good! Highly recommended if you like spicy. Cha Shu Udon (small) $6.80. On it’s own, the pork soup is very flavorful. A thick bowl of pork bone soup. And it’s goes very well with the udon too. However, I dislike the cha shu. It is a thick slice, but it’s not soft nor melt in the mouth. Taste-wise of the cha shu was not very good either. Nonetheless, the soup was worth it. 3 pcs sushi (add on of udon set) $3. Normal tasting. $1 each is reasonable, but will not pay more than this price. Salmon with Soy Sauce Sushi $0.40 (promo item). This is limited to 2 pieces per person dining in. With this price, this is a ‘must order’. The salmon had been marinated to really absorb the soy sauce taste and texture wise is pretty interesting. Nice! Scallop Sushi $2.10. I super love this! The scallop is fresh, meaty, juicy and sweet! I had half the scallop on it’s own and half as sushi. Totally in heaven with this. Salmon Sushi $2.20. Normal. Salmon is fresh and sweet. Tamago Sushi $1. Normal pricing for this sushi. It’s my must order from any sushi place. Pretty satisfy to have this. Vegetable Tempura $4.50. I’m disappointed in this. I requested not to have any bell pepper, but they still serve it. And to make it worst, the tempura is oily. Not light in the mouth at all. Can skip this item. Overall, this third visit had left me with a very satisfied and full stomach. Plus the damage was reasonable, less than $40. It must had been the udon. Otherwise, I doubt we will only spend this amount. Most importantly, writing this post made me crave for the udon already. So you can imagine how tasty the udon really was. The first time I had udon was ages ago and I dislike the tasteless and texture of it. But now, I see udon in a new light. If you are a udon lover, I think this place is worth visiting. 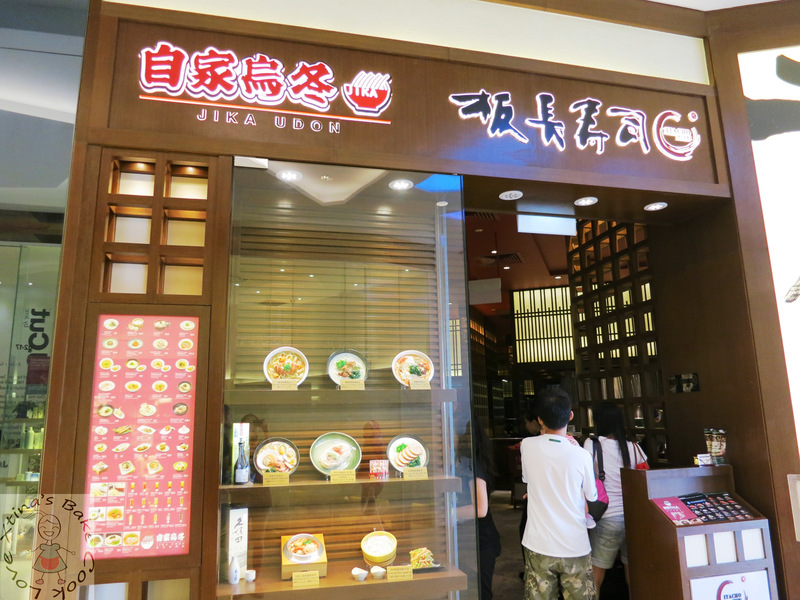 If you dislike udon like I used to, give it a second chance at this outlet.